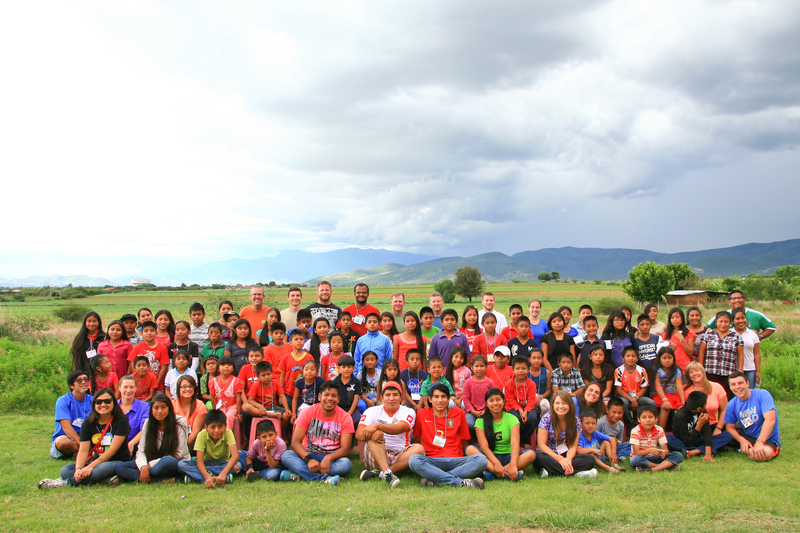 Details… These two weeks of camp, held at our 10 acre working ranch south of Oaxaca City serve kids and students from the indigenous mountain areas in the state of Oaxaca, Mexico. We need people who will go all day, love kids, and give their hearts and souls to a group of kids that are frequently neglected as their families struggle to survive in some of the poorest communities of Mexico. These are great ministries for groups to join and help support our ongoing ministry in the hard to serve indigenous communities of Oaxaca. Contact us for more info! Details… Addressing the economic health of the people we serve is a huge part of what Adventures in Life does. Working with trained professionals, we have developed a Vocational Camp that gives kids a chance to learn real world skills in areas that are key to getting a job in Oaxaca. 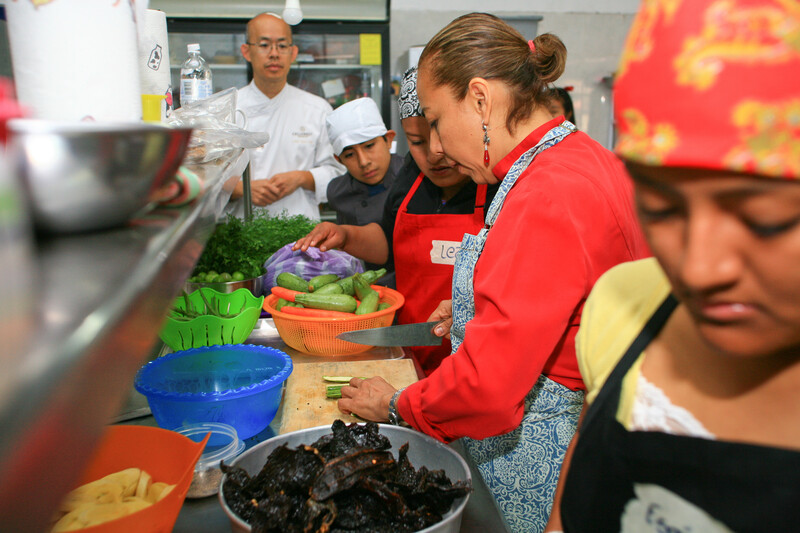 Here you see a group of students working in our culinary arts program with Chef Pilar Cabrera of La Olla Restaurant in Oaxaca and Chef Jose Lim of Callebaut Chocolate. Our 2017 camp will give students 13-21 a chance to study and learn Graphic Arts, Photography, Culinary Arts, and Science & Agriculture. If you have experience in these fields, we need you. Click here for more info! Want a Summer Intern Experience? Join us for missionXchange! Details… Want an extended summer mission experience? Join our Summer Staff Mission Xchange Adventure. 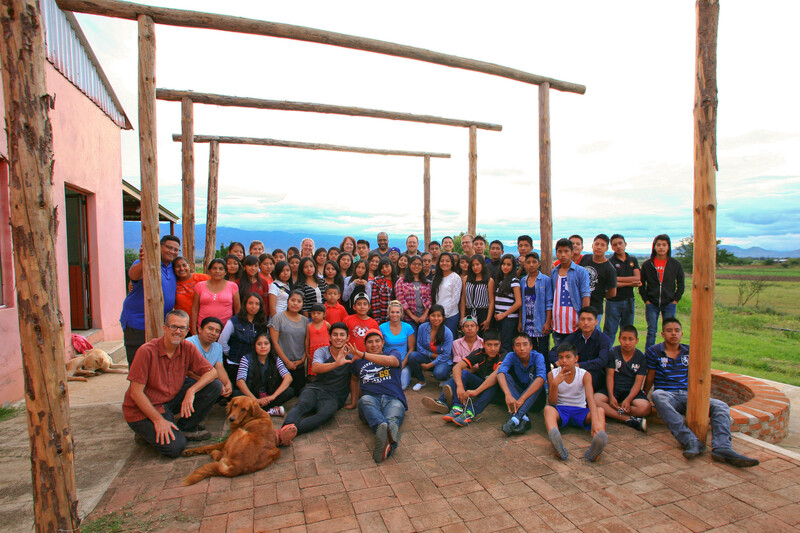 Spend three weeks in Oaxaca and help make our ministry happen for hundreds of people from around Oaxaca. You'll connect personally, share the Gospel, and be immersed in the language, culture and mission of this area as you experience God's missionary heart. This is an in depth, faith stretching mission working with numerous people groups in the cultural heart of the indigenous people of Mexico. To join or get more info, contact us ASAP as space is limited. © 2017 AIL Ministeries. All Rights Reserved.